The leading hostel-focused booking platform, Hostelworld brings vibrant, passionate travelers together with exciting destinations and other like-minded explorers through hostel accommodations. Hostelworld’s audience is primarily 18-35-year-olds, making digital communications essential. The brand’s customers expect personalized messages, but it can be difficult to find the precise wording and content given that Hostelworld books in more than 170 countries. Manual testing provided some insights, but with more than 500 audience micro-segments, they needed a solution that could scale as they continued to gather data about their customers. 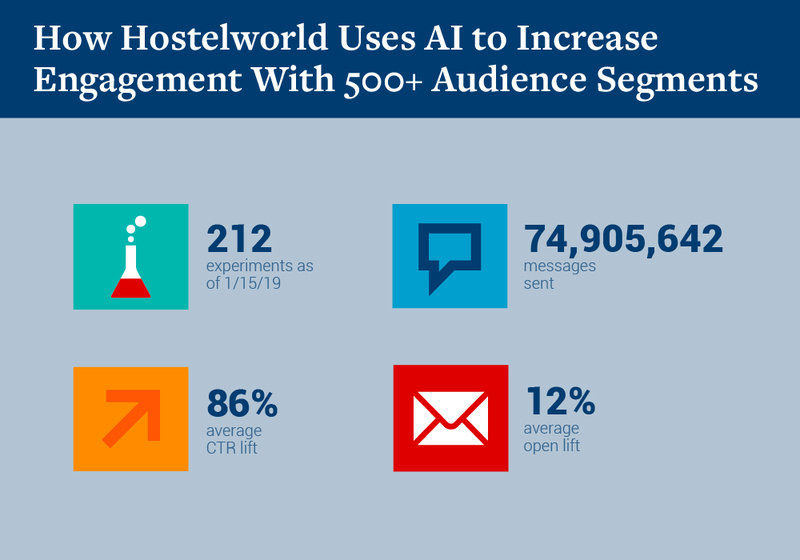 Hostelworld had used some AI tools, but they did not have the ability to scale as they expanded audience segmentation. 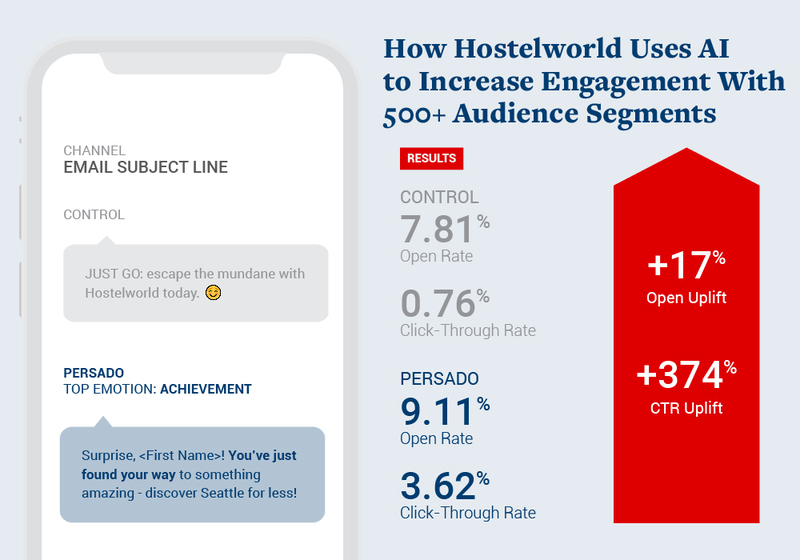 Using The Persado Message Machine, which has thousands of tagged words, phrases and sentences, Hostelworld was able to get more and more precise with how they engaged customers, resulting in double-digit uplifts and improved loyalty. Persado’s insights allow CMOs and their teams to not only see results but the “why” and “how” behind them. Two particular insights stood out. Personalization: When customers expect personal connections with brands, that translated through to their communications. Using a customer’s name, as Persado suggested Hostelworld do (Surprise <First Name>) increased response rates by an average of 15% for Hostelworld. Emotion: Using emotions in subject lines results in significant uplifts for Hostelworld. In this case, Achievement (to praise or reward for an accomplishment) netted a 17% better open rate versus the emotion-free control. Persado has become an integral teammate for Hostelworld’s digital marketing staff, teaching them about their own brand lexicon as they see what their users respond to. As Hostelworld continues on its mission to connect global travelers with each other, they’ll use Persado to help grow their marketing into long term relationships with customers.